Synthetoceras is an extinct mammal which looks a little like a unicorn. This weird looking creature was about 2 meters long and probably weighed 200 - 350 kilos, so it is a little smaller than a modern horse, but it had horns. 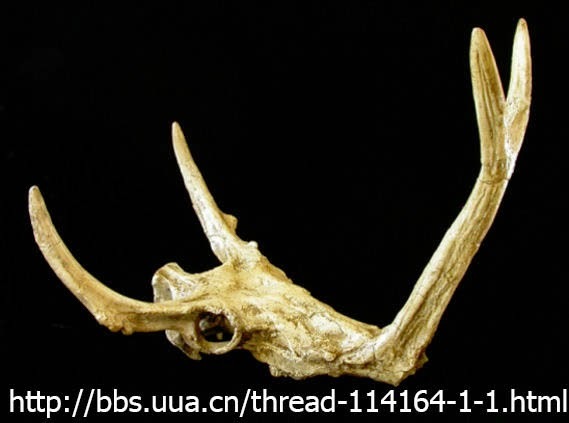 It had two laterally oriented horns and much like a unicorn had one central horn above its nose. This horn was pronged. The function of the prong is unknown, but it was probably either for mate competition or for foraging in the ground. Maybe both. Maybe something else altogether. Synthetoceras lived in North America around 5 to 13.5 million years ago. 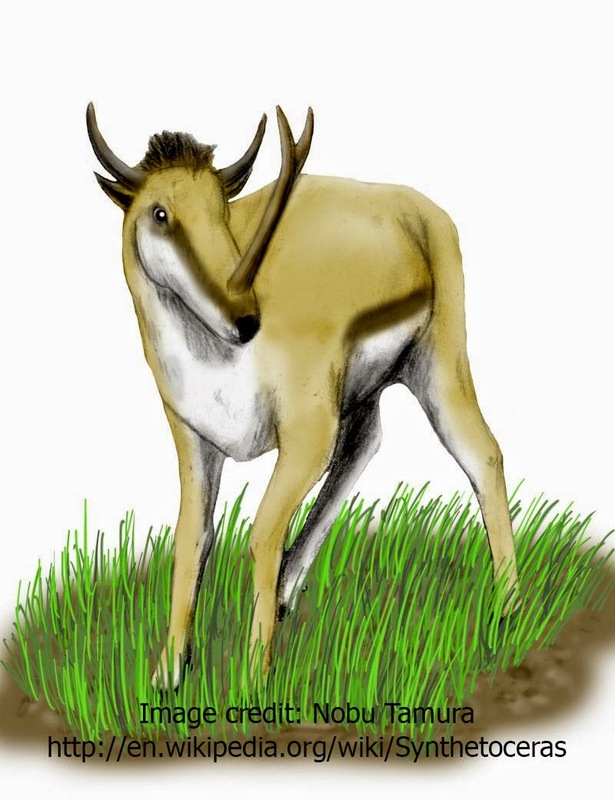 Synthetoceras is an ungulate mammal, so it is not too distant from horses, but it is in the artyodactyl group, which means it is more closely related to sheep, deer etc... Their family Protoceratidae is entirely extinct.